The three legged frog is believed to be conductive to greath wealth. 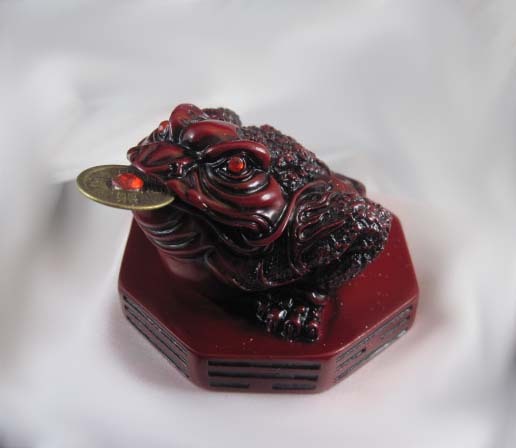 It comes with a chinese coin in its mouth. Place at an angle to your door to invite prosperity. Made of Faux Rosewood.